Discover all you need to know about Hudson, Quebec! A site for tourists and locals!... HudsonQuebec.com is an interactive, online web publication promoting businesses, organizations and events in and around the Hudson, Quebec area (St-Lazare, Rigaud, Vaudreuil, Dorion ...), providing people with an opportunity to share information, interests and ideas with the community and the world. We provide a wealth of information about the Hudson community, upcoming events, local businesses, restaurant reviews, accommodations, schools, churches, boutiques, leisure activities, weather, news, sports, health, beauty, salons spas, arts, Hudson, Quebec history and more! Browse through and have fun! This is your site; tell us what you want to see! Visit the Hudson Area Gas Prices Website for your least expensive gas prices in the area. Read the Hudson Gazette article that rates our site! FREE Classified Ads for Hudson Quebec and surrounding area! Get married in Hudson, Quebec! See our Wedding section! See our list of Important / Emergency Phone Numbers for Hudson, Quebec. Become a member of our Business Directory! Write about something that interests you and submit it to us! 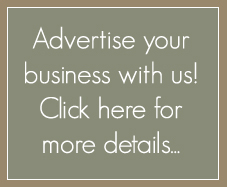 Advertise your products and services with a banner ad on our site! Have something nice to say about a local business? We'd love to hear about it! Quebec - Restaurants, Inns, Bed & Breakfasts, Boutiques, Antiques, Markets, Weddings, Nature, Golf, Real Estate and much more! Hudson, Quebec is a small, charming town surrounded by nature and overlooking the beautiful Lake of Two Mountains, across from Oka. Visitors enjoy Hudson for it's quaint boutiques , restaurants, accommodations and antique stores. Hudson, Quebec is located 35 miles west of Montreal. Hudson's neighboring towns are Rigaud, St-Lazare and Vaudreuil-Dorion. Locals adore their small community and are friendly and welcoming to tourists. Hudson is the perfect place to get married, even if you're not from the area. There are many businesses in Hudson, St-Lazare, Rigaud and Vaudreuil-Dorion that cater to planning and celebrating Weddings. Hudson is beautiful all year round – the Christmas parade and festival of lights keep things bright and cheery during the winter months, and the Hudson Street Fair is the highlight of the summer. 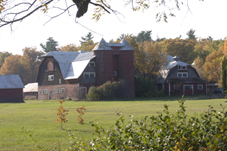 Hudson offers many delicious restaurants and cozy places to stay including Inn's, Bed & Breakfasts and summer cottages. There is no shortage of golf courses in the area and many are attracted to Hudson for Finnegan's market, where you'll find arts, crafts and antiques. Hudson is the perfect place for a weekend getaway. 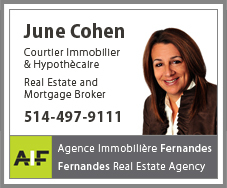 Property Listings, Real Estate Agents and Real Estate Brokers for Hudson, St-Lazare, Rigaud, Vaudreuil-Dorion and surrounding areas. Vaudreuil-Soulanges is expanding rapidly and many are buying property in the beautiful towns of Hudson, St-Lazare, Rigaud and Vaudreuil-Dorion, Quebec. This site features a Real Estate section designed to help visitors locate property listings, Real Estate agents and Real Estate brokers in and around the Hudson, Quebec area. We provide Real Estate agents and Real Estate brokers with an opportunity to increase their presence on the internet. Our Real Estate section is user-friendly and aesthetically pleasing, making it easy for visitors to zero in on what they're looking for. Contact us to place a listing in our Real Estate section.